The colorful Caterpillar Inflatable tunnel is designed for younger children. Children tunnel their way through inside obstacles, climb up the rope stairs and slide down to the exit. For above inflatable caterpillar tunnel usually used in water park. Used in conjunction with inflatable sports game products are greatly welcomed. 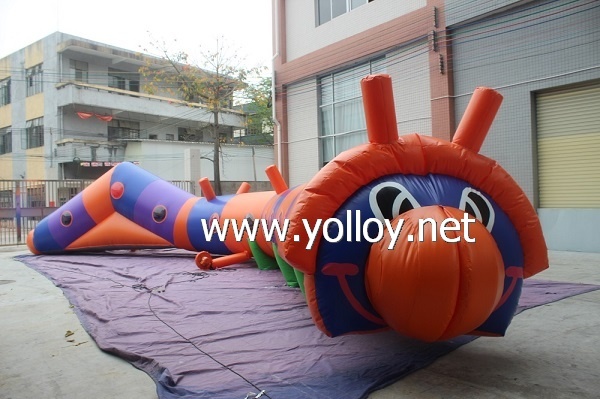 our inflatable caterpillar tunnel is inflatable caterpillar tunnel,which is popular for children. 1. Size: We offer different size according to customer’s request.